Oxbow Western Timothy Hay is a good, basic grass hay with high quality nutrition, and a fresh fragrance that's irresistible to rabbits. This is our most popular grass hay with high fiber, low protein and low calcium content is widely recommended by veterinarians. More information is available at Oxbow. 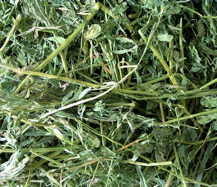 Oxbow Alfalfa Hay is a high fiber legume hay with more protein, energy and calcium. This hay is perfect for young rabbits that need concentrated nutrition. The succulent taste also stimulates the appetite of ill or post-surgical rabbits. 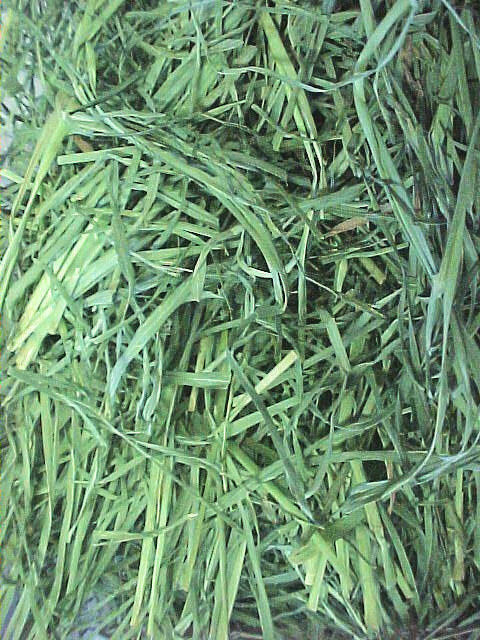 Once your rabbit reaches adulthood or complete recovery, then this nutritious forage should be replaced with a grass hay. More information is available at Oxbow. 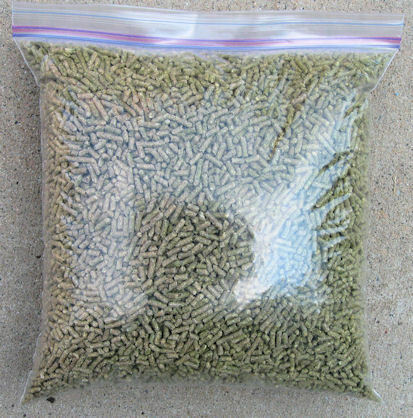 Timothy Pellets Bunny Basics "T"
All rabbits need high fiber to keep their digestive systems working properly, plus basic vitamins and minerals to maximize their health. The "T" stands for timothy grass. Bunny Basics "T" combines needed fiber with stabilized nutrients to assure a well-balanced diet when served with Oxbow loose grass hays. Note: NTRS usually places a restocking order with Oxbow on Mondays to ensure that the shipment arrives at NTRS before the following Saturday. 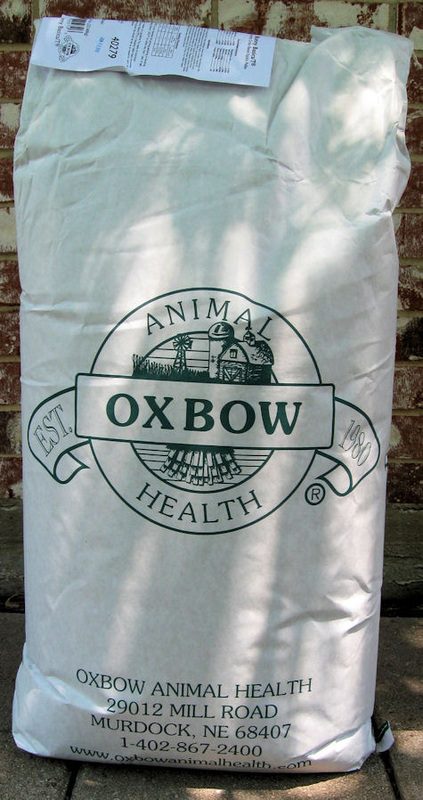 Oxbow Orchard Grass Hay is high in fiber, low in protein and supports the health of rabbits by stimulating digestion, preventing obesity and making mealtime more appealing. 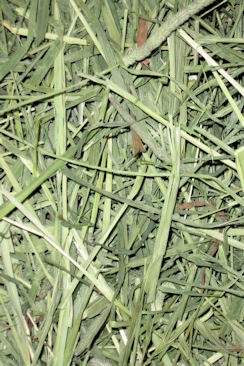 Mix Orchard Grass Hay with other Oxbow grass hays to create a sweet and nutritious combination. More information is available at Oxbow.